I bought this 959OL driver and happy with it. I understand it is an non conform driver but may I know what was the non conform spec about this driver. All my golf buddies ask me the same question. I just hope I can answer regarding my driver. 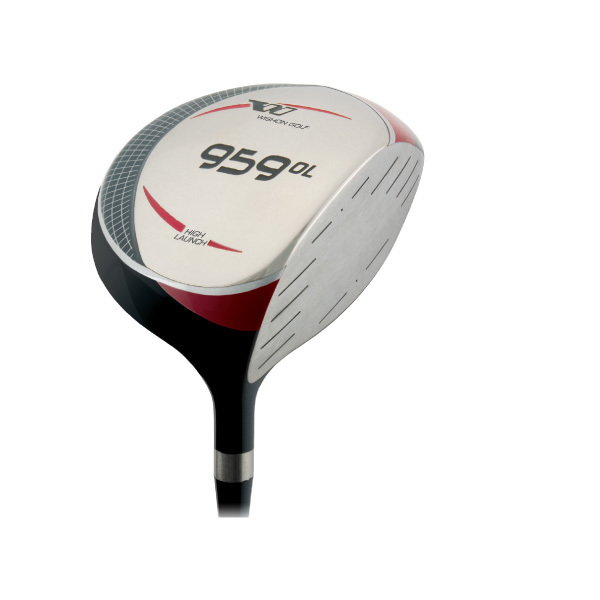 I designed the 959OL with a much higher COR for the face than is allowed under the rules of golf. The COR limit in the rules has been 0.830 since 1998 and I was able to hit a COR of 0.882 with the 959. I of course did this intentionally because I felt that there were some players who had been losing distance due to age or injury but who played strictly for fun and not in formal competitions conducted under the rules of golf. We always clearly stated in any presentation or marketing for this driver that it was non conforming and was not to be played in any type of competition. We dropped it from the line mainly because I got so much criticism from rules hawks for having created it that I just felt we had to pull the plug on it. I am sorry but when we did have a very high COR driver head in our product line, we did not tool it in left hand because we just knew that the demand was not going to be nearly enough to merit the development investment. 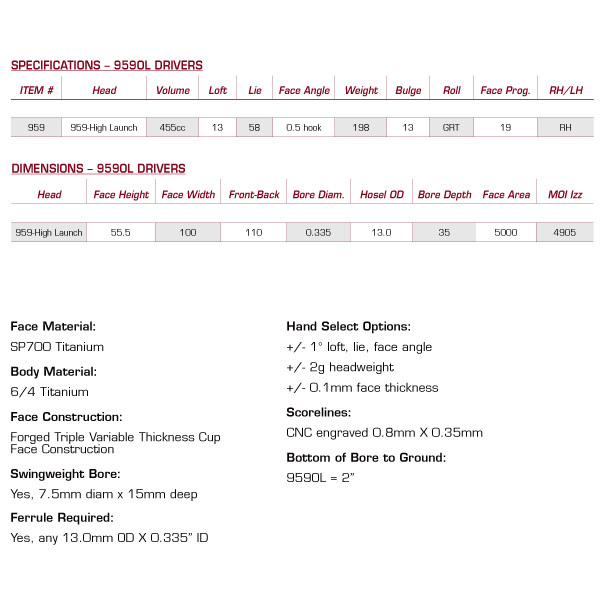 I would like to purchase 2 959 ol high launch driver heads. I am hoping they are still available for purchase directly or from a clubfitter.